The U.S. attorneys office said that skeletons of Tyrannosaurus bataar dinosaurs were looted from Mongolia as part of a smuggling scheme. The dinosaur smuggler has pleaded guilty and now faces 17 years in prison. Florida native Erik Prokopi illegally bought and sold whole and partial dinosaur skeletons between 2010 and 2012, as part of what he described as a "commercial paleontology" business, according to the U.S. Attorney for the Southern District of New York. 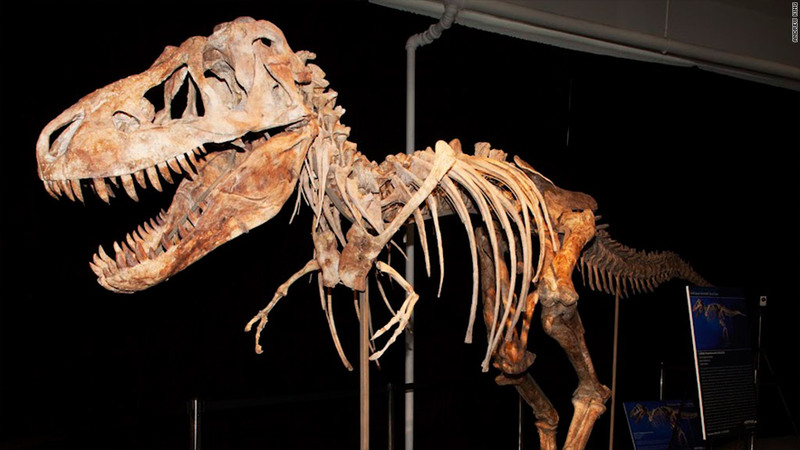 The fossils included three Tyrannosaurus bataar skeletons, which are believed to have roamed the earth 70 million years ago, a Saurolophus skeleton and an Oviraptor skeleton. Prokopi, 38, also faces fines totaling $750,000. The attorney's office said Prokopi bought fossils from foreign countries and unlawfully transported them back to the U.S. The dinosaur remains slipped through customs, because Prokopi is believed to have misrepresented the shipments on customs forms. The offenses violate laws of the United States and Mongolia, where it is a crime to take dinosaur fossils out of the country. As part of his plea agreement, Prokopi will forfeit the remains, which will be returned to the country of origin. "Black marketeers like Prokopi, who illegally export and sell these wonders, steal a slice of ... history," said Preet Bharara, Manhattan U.S. Attorney. "Fossils and ancient skeletal remains are part of the fabric of a country's natural history and cultural heritage." Prokopi is scheduled to be sentenced on April 25, 2013.